and to making you happy. Come workout in a space where everything has been thought out for you to free your mind and to offer you effective and fun exercises. Reformation is on a 'come as you want' basis, with no membership requirements. Just come with your gym clothes (no need for shoes) and we'll take care of the rest. In 10 sessions, you feel better. In 20 sessions, you look better. In 30 sessions, you have a completely new body. This class is perfect for those of you who want to discover the method and the specific techniques used to target all the different muscle groups that are activated in Pilates. 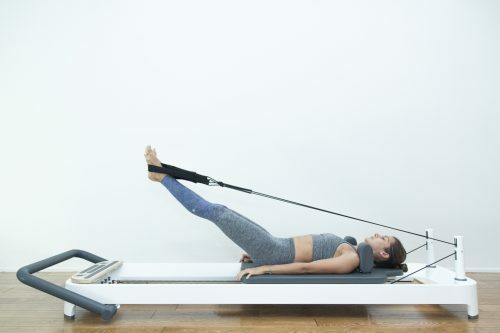 Newbie gives you the confidence to use the Tower or Reformer equipments. It is a full-body workout with or without accessories (weights, elastics, etc.) tailored for beginners, but can also appeal to more advanced students who want to work on improving their techniques. Barre and Stretch is for students who are looking for a deep relaxing workout to improve posture and flexibility. The workout exercises are inspired by floor barre and ballet, leaving you feeling stretched and relaxed. 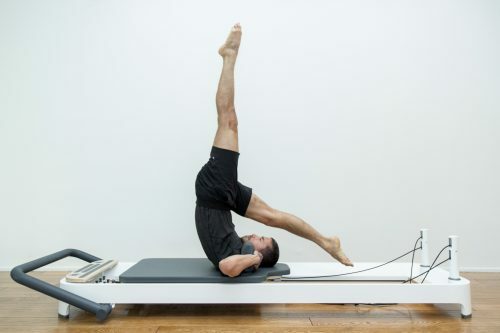 The best of Pilates all in one class: energizing, engaging, intense. It is perfect if you are looking to tone and sculpt. It is more intense than “Newbie”. It is for students who already have a knowledge base of Pilates and who are looking to incorporate cardio into their workout. This is the ideal workout for those of you looking to break a sweat and discover more technical exercises (coordination, inversion, etc.). Prerequisite: at least 5 Newbie classes or are familiar with the method and the equipment used. A jumpboard class (a jumping platform placed over the Reformer) for a cardio workout focusing on synchronising movements. Jump Baby Jump is a class that focuses on strengthening the core (abs, back and gluteus) through a series of choreographed exercises on the jumpboard, sculpting both the upper and lower body. If you are looking to break a sweat, boost your endorphins and are in need of a different kind of workout, this class is for you. Prerequisite: at least 5 Flow classes or advanced training using the method and the equipment. This is a cardio class to test your physical strength and techniques. A faster pace class than “Flow” with a focus on transitions, Intense is for students looking to challenge and out do themselves. A cardio class with no time to waste. Single private sessions offer you one-on-one personal training and allow you to customize your workout to your needs and goals. These sessions are recommended for beginners looking to learn the basics faster and for more advanced students looking to strengthen their techniques by targeting specific areas of the body. If you are looking for a personalized workout, but need the motivation by working out with someone else, then the duet private session is the right option for you. An expert trainer will work side by side with you to challenge you and to help you make progress. Find your partner, schedule a session, and let’s go!